The United Wagon Company will supply Wabtec with parts from 2016. 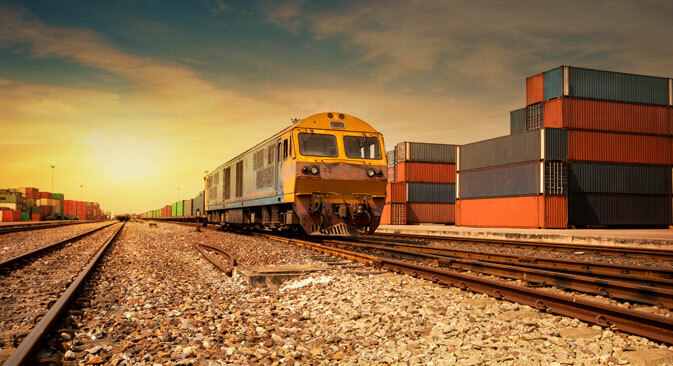 Russia’s United Wagon Company (UWC) and U.S.-based global supplier of high-technology railroad production Wabtec Corporation have signed a 10-year contract on the export of foundry products for freight cars, according to UWC's site. Wabtec will use Russian foundry material for producing Barber S2UD-type undercarriages. The American company will give UWC the documentation and the license for the production of foundry details. "The contract will enable Wabtec to diversify suppliers of foundry products, while UWC will put the foundry capacities of the Tikhvinsky wagon building factory to use," reads a statement on the company’s website. All the foundry products will be manufactured in compliance with the standards of the Association of American Railroads. In the opinion of Mikhail Burmistrov, general director of the Infoline-Analitika Agency, the devaluation of the ruble has made Russian foundry products competitive, including transportation costs. For example, Chinese foundry products on the American market cost at least $1,000 per part, while Russian products cost $700.